Mohawk’s SLT-2000 is a 2,000 lb. 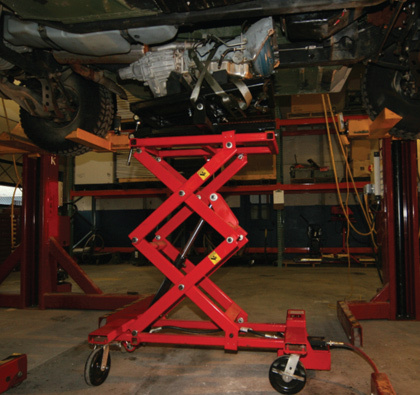 capacity scissor lifting table made to remove or install large transmissions, rear ends or differentials. 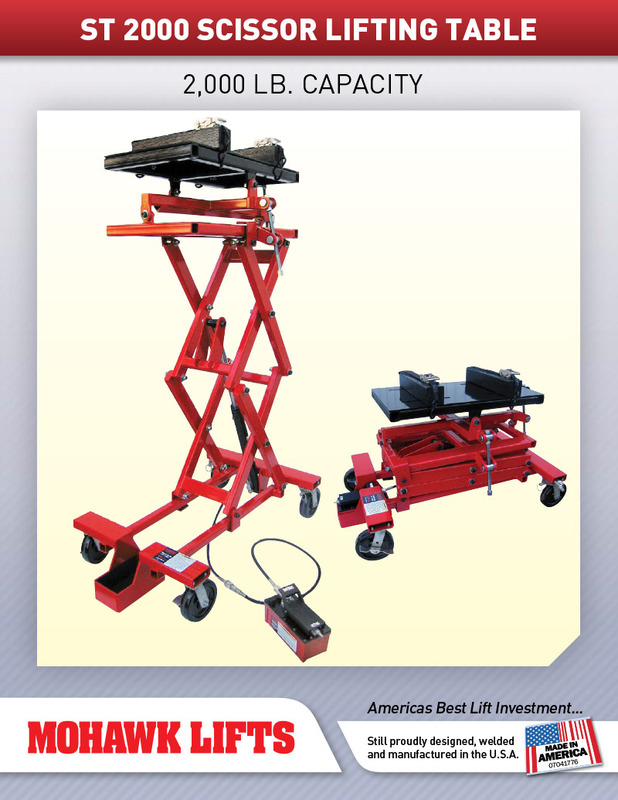 The SLT platform is 4′ long by 2′ wide and has anchoring points to safety secure the loads being lifted. 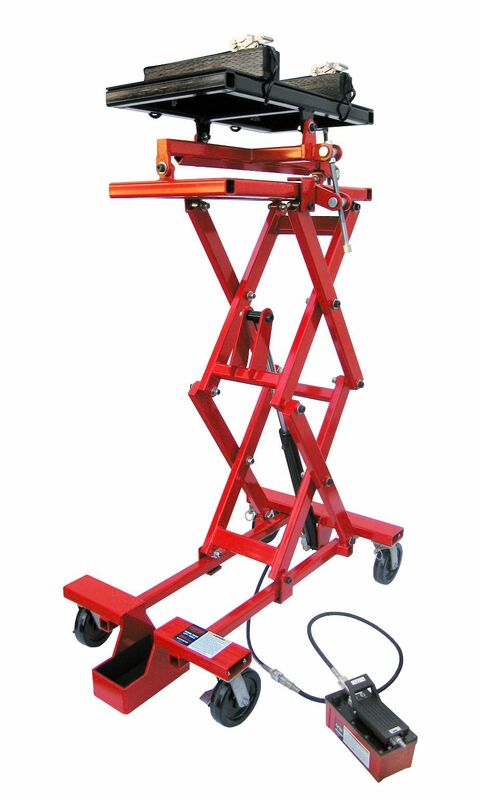 Ideal for use in the Heavy Duty garages, the SLT-2000 operates on a 110 volt power unit to hydraulically raise the load. 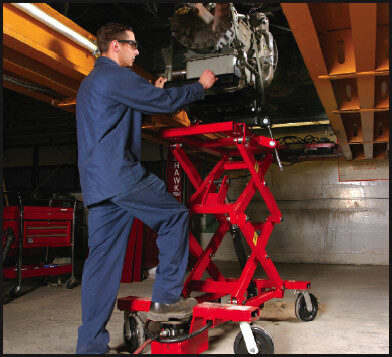 Minimum lifting height is 3′, with full height being 8′ tall for access under the tallest vehicles, or the highest lifts (or pits) on the marketplace. 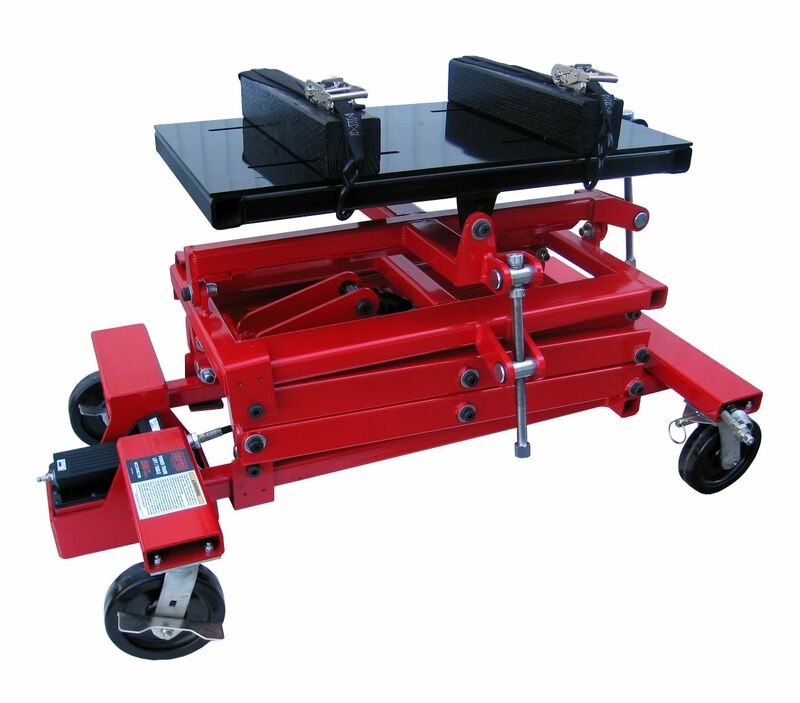 Safety systems include 12 position mechanical locks, and hydraulic safeties consisting of velocity fuses and pressure compensated flow control valving.